Senator Tom Coburn, M.D. (R-Okla.) served on the hearing’s first panel of witnesses to discuss some of the many problems bankrupting the federal safety net programs for low-income, disabled Americans. “My Oversight Subcommittee has held three hearings over the past year to investigate the problems and solutions for federal disability programs. This week, the full Committee took the next step in our work to reform the broken processes,” said Lankford. “Federal programs with good intentions but without oversight and accountability are unsustainable. Currently, a decision to allow receipt of disability benefits represents an irrevocable commitment, regardless of changing health status or technology. Tragically, evidence suggests the agency’s emphasis on high-volume adjudications over quality decision-making has eroded the credibility of the disability appeals process. As a result, a large number of people are inappropriately receiving disability benefits. “Insolvency in the disability programs will hurt the truly vulnerable the most. In the days ahead, our bipartisan group will continue to collaborate with agency officials and beneficiary advocates to address some of the issues facing federal disability programs. We must make aggressive reforms to prevent insolvency and protect American taxpayers from wasteful spending,” concluded Lankford. 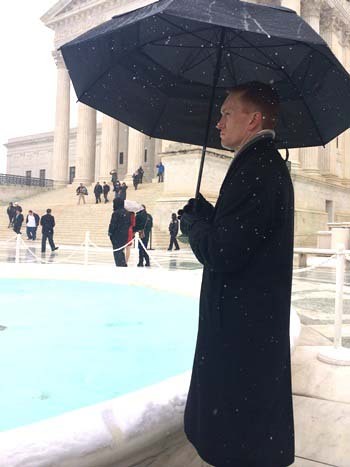 Lankford’s Subcommittee has investigated problems within the appeals process and within SSA’s continuing disability review process for disability benefits. Currently, favorable decisions are not appealed, and less than one percent of disability beneficiaries return to the work force in their lifetime. Between 2005 and 2009, more than 40 percent of Administrative Law Judge (ALJ) decisions had allowance rates in excess of 75 percent, and more than 20 percent of ALJs had allowance rates of 85 percent or more. Additionally, between 2005 and 2013, more than 1.3 million individuals were placed onto disability by an ALJ with an allowance rate in excess of 75 percent. Prior to 2011, SSA failed to assess the quality of ALJ decisions in any way. Apparently, the only metric used by the agency to evaluate ALJs was the quantity of cases processed. To view a copy of the letter to SSA Commissioner Colvin from Reps. Lankford and Speier that includes 11 recommendations for ways to improve the disability benefit award process, click here. This entry was posted in National on June 11, 2014 by admin.